I wanted to give a quick shout out to my friends from the Orlando Unity 3D development group. I enjoyed attending my first meetup session this week. As the group discussed planning content for 2018, a few asked if the group could explore content related to C# fundamentals. Inspired by this question, I wanted to share a few resources to help programmers just starting their journey with C#. C# Fundamentals for Absolute Beginners by Bob Taylor: Starting my career in software engineering 20 years ago, I can remember the days when good programming courses or books were costly. Thanks to the generous efforts of many people, open courseware, and YouTube, there are lots of options for learning almost every technical topic. For .NET developers, Microsoft has published a great YouTube channel called the Microsoft virtual academy. Bob Taylor provides a nice tour of C# fundamentals. This course works well for someone just starting to program with content on control structures, classes, Linq, events, and more. Unity C# script lessons: I’m a big fan of the training materials that come with Unity 3D. The Unity folks are very intentional about helping new programmers engage in their tools and related languages. The official Unity training website has several videos touring the fundamentals of the C# language. C# Yellow Book by Rob Miles: Rob Miles publishes a robust set of course materials and a free book to help introduce C#. Rob created this book, course slides, and other resources to help teach C# in a university setting. Hope this book serves as a good reference for you. Foundations of Programming by Karl Seguin: My career has benefited from learning to incorporate agile engineering strategies into my daily work. Let’s face it. The world of technology moves very fast. As engineers, we need to design our systems for change and automating testing when possible. In the .NET community, some people call this the “ALT” .NET style of programming. In this free book, Karl Seguin provides a cool tour of test-driven development, design patterns, SOLID principles, and database programming. Karl makes the content very lite and approachable. 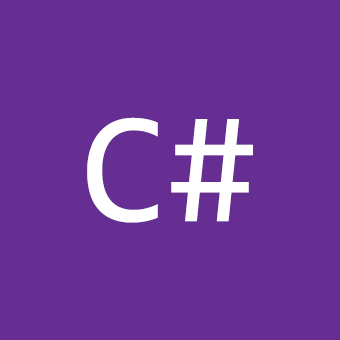 C# programming from Wiki book: If you’re looking for a quick reference to the C# language, this Wiki book has some nice content. Connect with local users groups: I’ve been doing a lot of research into how people become engaged with coding and decide to make it a career. Persistence is a precious skill to practice and acquire as you enter this field. There will be times when you win. There are times when your code just won’t work and you’ll want to quit. In those moments, it helps to have friends and community members to help you, coach you and cheer you on. For C# developers in Orlando, Fl, make sure to check out http://www.onetug.org/. I also help to organize content for the Google developer group of Central Florida. We plan to balance content for programmer veterans and coders just starting their career. GitHub is Love: Reading code helps to advance your learning in software. Thanks to open source projects and the generous efforts of many, you have lots of options. Let’s say you’re trying to build an Angry Birds clone in Unity, you might learn a few things from this cool project. ( https://github.com/dgkanatsios/AngryBirdsClone ) As you explore starting a project, do some searches on GitHub.com. In your exploration of open source projects, you will likely find tools for your inspiration or code to re-use. My main point, however, relates to reading code. Every developer learns from reading the code of their peers. We all stand on the shoulders of giants who came before them. Looking to connect with other local developers like you? You’re invited to join, Google developer group of Central Florida, an innovative community of mobile and web developers passionate about advancing the open web and working with open source and Google tech.